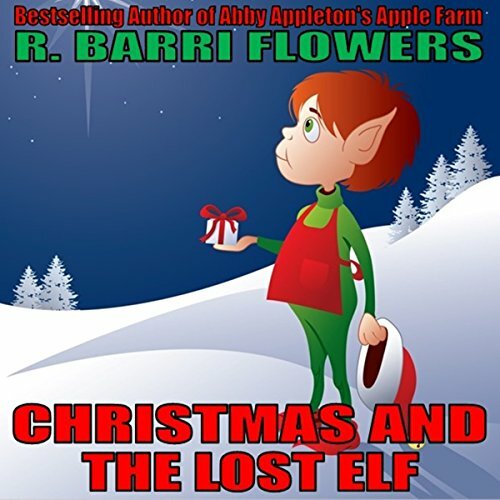 Christmas and the Lost Elf is a children's holiday book about a lost elf named Ernie who hides unnoticed in Santa's sleigh and finds himself left behind on Christmas Day in a place far away from the North Pole. There he meets various interesting characters while hoping to somehow find his way back home and, in the process, learns to appreciate Christmas in new and entertaining ways. This delightful and unique holiday tale is sure to keep young children (and their parents) engaged throughout Ernie's magical and fun journey. Other entertaining and learning children's books by the best-selling author include Abby Appleton's Apple Farm, ABC's of Earth's Creatures, A Kangaroo's Pouch, Greeley the Mean Goat, The Runaway Rabbit Named Robbie, Willa's Halloween Adventure, and titles from the popular A to Z Things series. Cute! That's the 1st word that comes to mind when I think about this book. My daughters and I listened to this audiobook together, and we all loved it. The characters in this story were perfect, especially the little elf. The narrator of this audiobook was fantastic! He had a different voice for each character, and it really brought each of them to life. This was an adorable little Christmas story that can easily become a holiday tradition every year. This audiobook was provided to me at no cost for an honest review. John Dzwonkowski narrates this childrens book brilliantly.It is about an elf that just can not wait to be a 'Sleigh Elf'.He hides on board and of course,falls out.His trip to find his way home and the different characters he meets along the way make a fun listen for any child.I listened to it with my grandson who is just a baby.It held his attention,as well as mine. This audiobook was provided by the author, narrator, or publisher at no cost in exchange for an unbiased review courtesy of Audiobook Blast."